Upholding the spirit of service to the community and making education available to all, the University has provided the public free access to the following OUHK educational resources. Open for Learning TV Programmes – Broadcast every Sunday morning on TVB Pearl, the TV programmes feature a wide spectrum of topics including business, science, general interest and other topics. FreeCourseware – over 150 modules from OUHK’s distance learning courses are made available for public access. 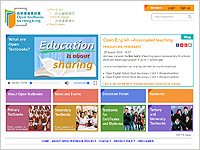 These modules are either in Chinese or English, cover a wide range of subject areas, and include multimedia components and interactive learning activities. iTunes U – The OUHK was one of the first institutions in the Asia Pacific region selected by Apple to present educational resources on iTunes U. More than 200 items are available for users to download. Open Textbook Project – With support from the Education Bureau and a funding of $17.5 million from the Hong Kong Jockey Club Charities Trust, the project aims to establish a sustainable system to provide quality open textbooks for adoption and adaptation at minimal cost for use by teachers and students at primary, secondary and tertiary levels. QESS Project – Funded by the Quality Enhancement Support Scheme (QESS) of the Education Bureau (EDB), the University has joined forces with Vocational Training Council (VTC), Caritas Institute of Higher Education (CIHE) and Caritas Bianchi College of Careers (CBCC) for a 3-year, cross-institutional project. 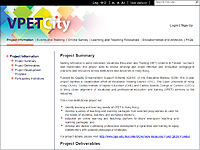 The project aims to review, develop and share effective and innovative pedagogical practices and resources across institutions and industries in Hong Kong. The University will participate in the development of a sustainable online learning and teaching platform for students, teachers and mentors for sharing of materials and practices; a series of teaching and learning packages of selected programmes; and delivery of continuous professional development programmes and training to equip teachers and mentors with the latest pedagogical strategies. A series of seminars will also be held for interested members of the public. Instructional design – we specialize in the design of learning resources that fit the specific needs of an organisation, and also produce original learning materials from scratch, from print materials to audio a video CDs, online components, and Web pages. Training – we offer training workshops and programmes in face-to-face, distance and online modes, covering areas such as audiovisual and multimedia production, information literacy and online tutoring. Consulting – we are committed to providing high quality and innovative consulting services, such as design, development and provision of online learning platforms.